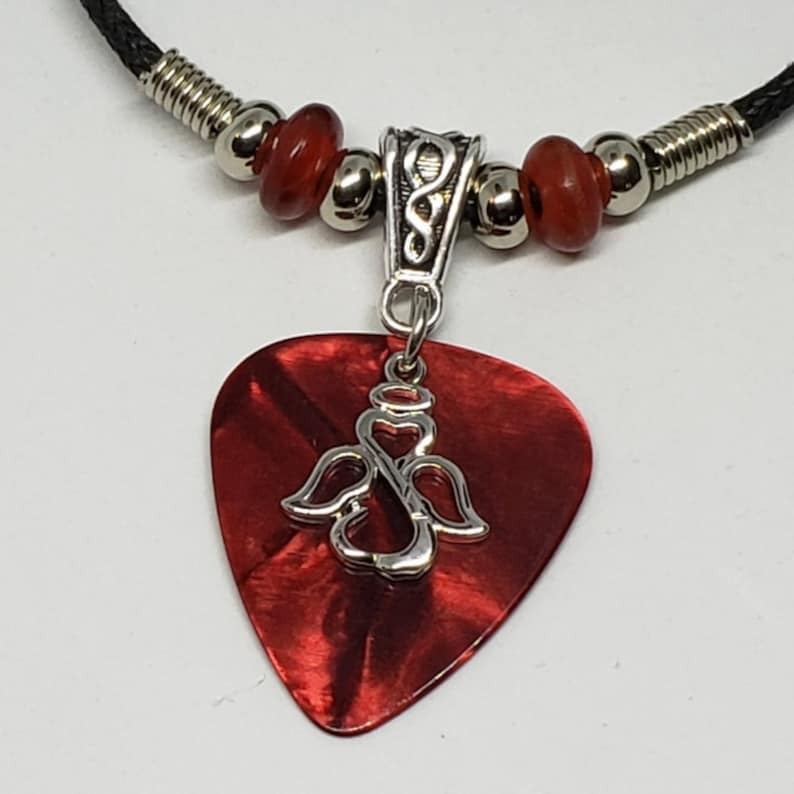 This is one beautiful red guitar pick necklace, it has a cute little angel dangling on the front side of the guitar pick, and it can be worn as a necklace or a bracelet. This Guitar pick necklace is strung on an adjustable 2mm black cotton cord and has red horn beads. The guitar pick has a marbled effect, it's beautiful! The guitar pick necklace has metal springs and metal beads to add contrast to this piece. It measures approx. 16" at it's smallest diameter and 28" inches when it's expanded by simply sliding the cord through the slip knots.